Title Of Album: Joe Cocker! Joe Cocker was a hot ticket in rock 'n' roll circles following his powerful 1969 debut album and his legendary performance at Woodstock. 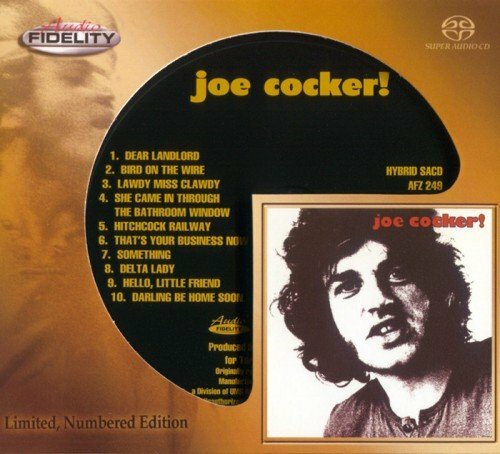 Joe Cocker! proved to be even better than his debut album. 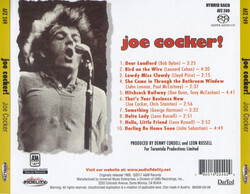 The recording features a number of high quality and distinctive covers of songs originally performed by Bob Dylan, The Beatles, Leonard Cohen and Leon Russell. Critically acclaimed by almost every rock journalist alive, the album became one of the big sellers of the year. You can instantly feel the driving power in the voice of Joe Cocker in his absolute prime. Tunes like Lloyd Price's Rhythm 'n' Blues classic "Lawdy Miss Clawdy," the Abbey Road gem "She Came In Through The Bathroom Window" and "Delta Lady" are bare bones late 1960's hard rock done to perfection. The album also has a soul and gospel feel that is unmatched by any white classic rocker of that generation. The gospel choir sounds are simply phenomenal. Cocker's cover of George Harrison's masterpiece "Something" is arguably the best rock interpretation of that song ever recorded.Joe Cocker ranks up there with Jimi Hendrix and Janis Joplin as the great performers of the '60s. "Joe Cocker!" was and continues to be one of the greatest albums of all time.